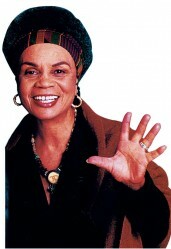 Dr. Sonia Sanchez is live in the studio today. She is a poet, activist, and expert on Black culture and literature, women’s liberation, and racial justice. She’s the author of over 16 books, including her most recent book Morning Haiku, We a BaddDDD People, and Homegirls and Handgrenades. She was recently chosen as one of 20 African American women leaders who are featured in a new exhibit called Freedom’s Sisters, a collaboration between the Smithsonian Institution and the Cincinnati Museum of Art. The Grand Opening of Freedom’s Sisters in Baltimore is this Saturday, October 23rd, at the Reginald F. Lewis Museum.